Academician Zan Mitrev was born on January 11, 1961, in Stip, where he spent his childhood, and he finished primary and secondary school there. He graduated from the Faculty of Medicine in Skopje, within the St. Cyril and Methodius University in 1985. As a young doctor with a great enthusiasm he worked in the emergency center and taught at the secondary medical school in Stip. In 1988 he left to Zagreb at the Clinic of Cardiac Surgery within the Faculty of Medicine in Zagreb. He completed his postgraduate studies in record time, in 1990, at the Faculty of Medicine in Zagreb. That same year, led by the idea of ​​becoming a top specialist in the field of cardiovascular surgery, he followed the path of the great teachers starting from the Department of Cardiothoracic Surgery within the Johann Wolfgang Goethe University in Frankfurt, and after two years with a completed specialization in surgery, he went to Ludwigshafen - Germany, and then he immediately transferred to the University Clinic of Cardiovascular and Thoracic Surgery within the the Faculty of Medicine in Zurich, Switzerland. Under the patronage of Prof. Turina, Dr. Mitrev was tirelessly educated and upgraded his skills, mastering all modern cardiovascular techniques. In 1994, already being a reputable expert, he was employed at the prestigious private clinic Herzzentrum in Frankfurt, as a head of department, and three years later he became head of department at the University Clinic of Cardiothoracic-Vascular Surgery within the Wolfgang Goethe Faculty of Medicine in Frankfurt, Germany, where he stayed until 2000. As the peak of his entire experience, Dr. Mitrev successfully performed a heart transplant in 1997. During this period, the Academician tirelessly worked on the preparation of the idea to develop the activity of cardiovascular surgery in his native country and to help his people. On March 1, 2000, he performed the first open heart surgery in Macedonia, in the newly-organized hospital, with a newly formed team. And as he himself says, he had the most difficult surgery in his career, under the watchful eyes of the entire Macedonian public. Through the years to come, many surgeries, many successes, many awards, many participations in world-renowned scientific gatherings followed. As a result of that, as early as in 2002, his significant role in the development of healthcare was recognized, and he was accepted for a member of the Plato Academy. With all novelties he introduced in the system of the Macedonian healthcare, he became a promoter of the progress of medicine not only professionally, but also organizationally. The Academician has participated in many scientific and professional events around the world. He is an active member of many international professional associations. He presents his long-standing clinical experience with a collection of short professionally explained descriptions of 258 clinical cases published in the book “Cardiovascular Solutions”. On March 1, 2016, he crowned his work and activity, continuing his work in the newly built hospital - Zan Mitrev, where he has been working since then. With a great love and eloquence he participated in every slightest detail not only in the architectural structure, but also in the organizational setup. In 2017, his team proved their successfulness by gaining a JCI accreditation for work quality. Today the Academician is considered a top specialist in the field of cardiovascular surgery with more than 15.000 open heart surgeries. 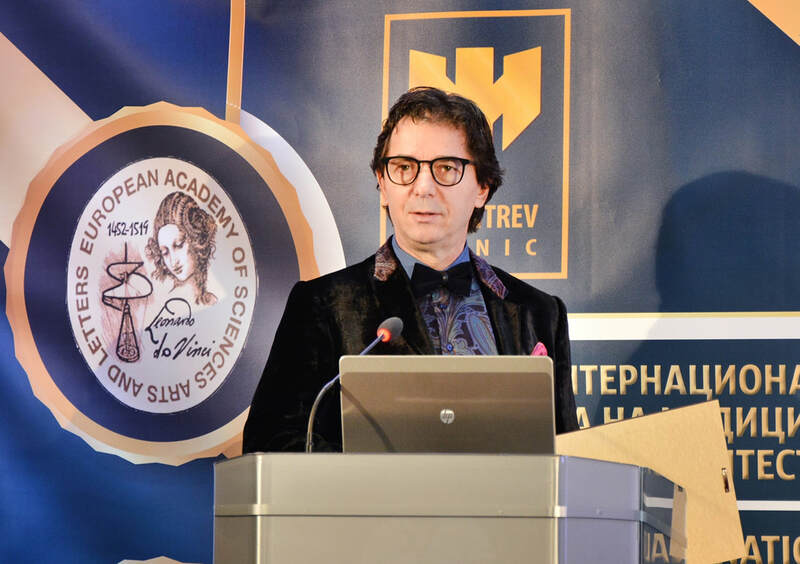 With his characteristics of a great expert, a humanist and a visionary in the field of medicine, on January 17, 2018 Dr. Zan Mitrev became a worthy member of the European Academy of Sciences, Arts and Literature. His main goal and mission is to develop humanism and through the development of medicine to contribute for his people and the humanity.